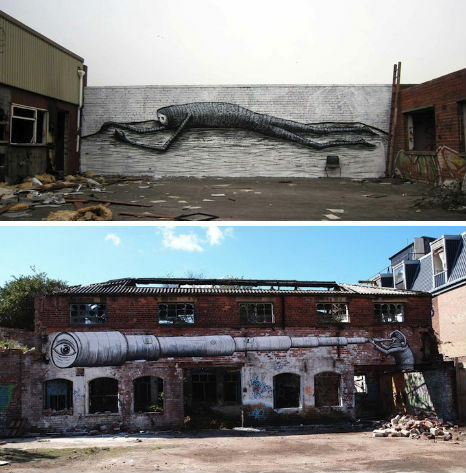 Street artist, cartoonist and comic book creator Phlegm is known for his signature illustrative black-and-white style, which he has translated from the page to large-scale murals in run-down public areas. 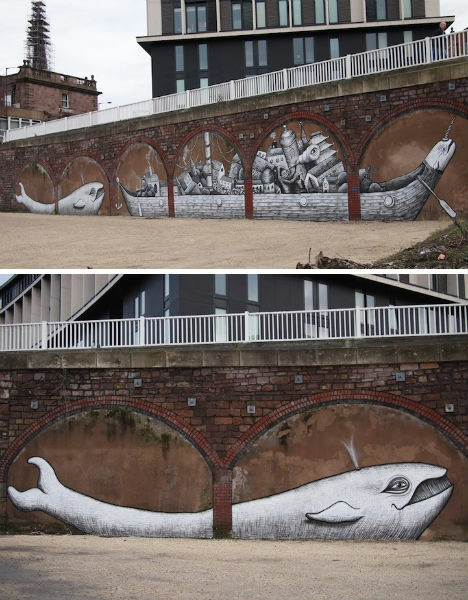 The Sheffield, UK-based artist recently completed some stunning floor-to-rooftop street art, including ‘Whale of a Time’ in the Riverside carpark in Rotherham. 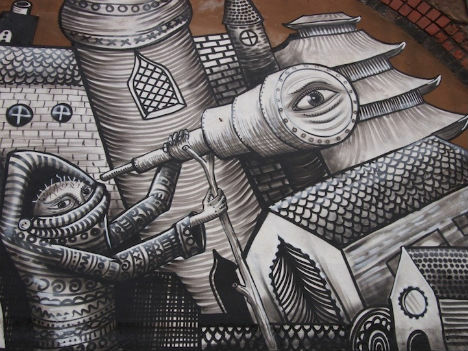 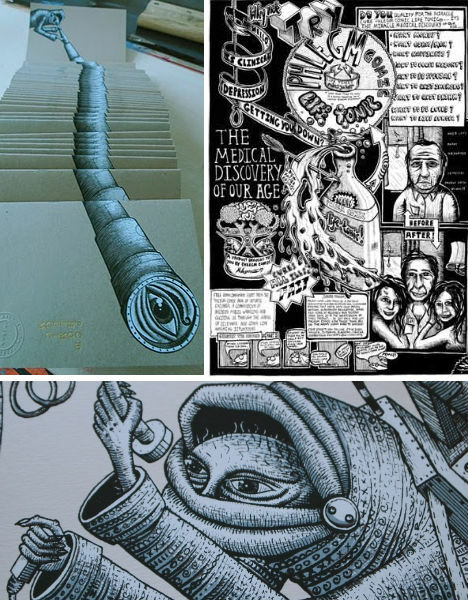 Self-publisher of a highly sought-after comic book called simply ‘Phlegm Comic’, the artist has enlivened many a sad urban surface with painted works that mimic his pen-and-ink drawings. 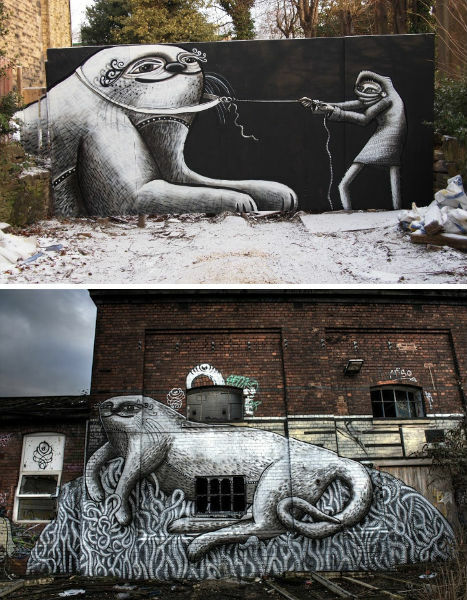 Phlegm says he felt a bit disillusioned after getting “sucked into the art machine”, working for other people and taking part in gallery shows, but is back on track now with “a policy of everything from my own hand”, determined to screen print and customize all of his own art, selling it in small affordable editions.